Providing Clean Portable Toilets since 1999 and now 25% Larger Toilets! 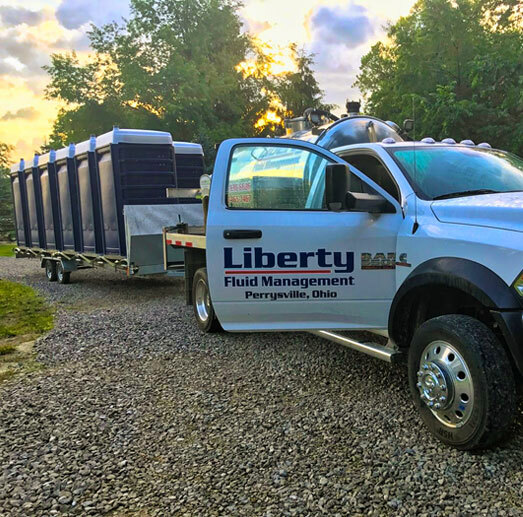 Liberty Fluid Management is the parent company of Liberty Portable Toilets. We have been providing portable toilets throughout central and north east Ohio including Wayne, Holmes, Richland, Ashland, Medina, Lorain, Huron, Cuyahoga, Summit, Stark and the surrounding counties since 1999. We are proud to make sure that our customers have a great experience at their events with an odor-free, clean and a 25% larger portolet. In addition to our state of the art portable toilets we also offer septic tank service to our residential, commercial and industrial customers. What Our Clients Think About Liberty Portable Toilets! Yes!!!! They take so much pride in their business and I can promise they will not disappoint. If you are in need of porta pots for your event, this is the place to call. They have the Taj Mahal of porta pots. Great friendly service.